Each course includes tutorials, videos, articles and advice that you can only find here on My Fishing Cape Cod. A lot of the information was created by myself, but I am including as much information from other anglers, MFCC members, and industry experts as possible - to help you truly master a specific type of fishing. Course material will be delivered via email every Tuesday at 6PM. The total length of each course is TBD, but I am expecting each course to last for about 6 months. I believe that spacing out the content in this fashion will allow you to consume the information at a sustainable pace. Spacing out the content over 6 months will also allow for me to get to know you, and help me to do a better job of helping you reach your fishing goals. Of course you can unsubscribe from the courses at any moment, with just one click. No hard feelings. You can learn more about each course (and enroll for free) by scrolling below. The Cape Cod Surfcasting Mastery Course is delivered weekly, via email, on Tuesdays at 6pm. Course lessons include video tutorials, articles and other information for catching fish from the beach, and from the Cape Cod Canal. If you are looking to learn how to consistently catch striped bass and other species from the beaches of Cape Cod and at the canal, then this is the course for you. You will learn the most effective techniques, as well as information about good spots, and areas where fish gather on the Cape. In addition, you will have opportunities to ask questions and get real answers from myself, and members of the MFCC community. Start Your Free Surfcasting Course Today! The Cape Cod Tuna Fishing Mastery Course is delivered weekly, via email, on Tuesdays at 6pm. Course lessons include video tutorials, articles and other information for catch school-size and giant bluefin tuna, bigeye tuna, marlin and other pelagic species. If you are looking to learn how to catch school-size and giant bluefin tuna, as well as other offshore species in the waters surrounding Cape Cod & the Islands, then this is the course for you. You will learn the most effective techniques, as well as information about good spots, and areas where tuna and pelagic species gather on the Cape. Start Your Free Tuna Fishing Course Today! The Cape Cod Inshore Boat Fishing Mastery Course is delivered weekly, via email, on Tuesdays at 6pm. 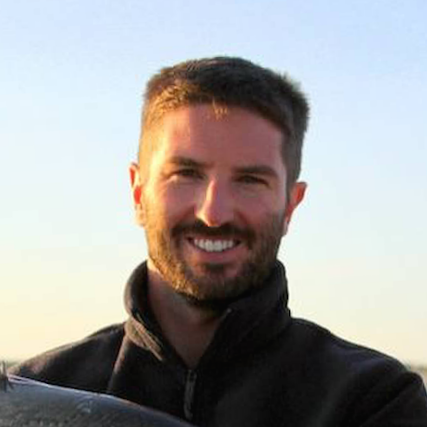 Course lessons include video tutorials, articles and other information for targeting striped bass, tautog, black seabass, false albacore and other species from boats and kayaks. If you are looking to learn how to catch stripers and other fish species from a boat or kayak in the waters off Cape Cod, then this is the course for you. You will learn the most effective techniques, as well as information about good spots, and areas where fish gather on the Cape. Start Your Free Inshore Fishing Course Today! Just signed up for the tuna course. I have a boat and gear to catch tuna but I don’t know how to catch tuna! Good idea, always something new to learn, so just signed up for the inshore boat category. Sounds great Ron. Spring is coming! Great concept! Will help with prep for the upcoming season. March is right around the corner! That’s right Dex, spring is coming quick! yup! I signed up! Thx!